Mary Angela Bock is a former journalist turned academic with an interest in the sociology of photographic practice, the rhetorical relationship between words and images, and digital media. Her previous career was spent primarily in local television news, first as a TV reporter for KCCI-TV in Des Moines, Iowa; then as an assignment editor and field producer in Philadelphia’s WPVI-TV. She has also worked short stints as a newspaper reporter, a radio journalist, and public relations writer. Most recently Bock co-authored Visual Communication Theory and Research with Shahira Fahmy and Wayne Wanta. Her 2012 book, Video Journalism: Beyond the One Man Band, studied the relationship between solo multi-media practice and news narrative. She completed her PhD at the Annenberg School for Communication at the University of Pennsylvania in 2009. Bock is an active member of the National Press Photographers Association, the International Communication Association (ICA), the National Communication Association and the Association for Education in Journalism and Mass Communication (AEJMC). Her research at both the student and faculty level has received division awards by ICA and AEJMC. She has published articles in Journalism Practice; Journalism and Mass Communication Quarterly; Journalism; Visual Communication Quarterly; The International Journal of Press and Politics and New Media and Society. 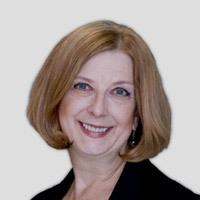 She and Klaus Krippendorff co-edited The Content Analysis Reader, an anthology of articles reflecting the development and application of content analysis. Bock has taught at Kutztown University in Pennsylvania and joined the faculty of the University of Texas at Austin in 2012.